Image Size: 37.25 X 28 in. Image Size: 23.25 X 17.5 in. This painting is the sister painting to a "Drink with the Angels". 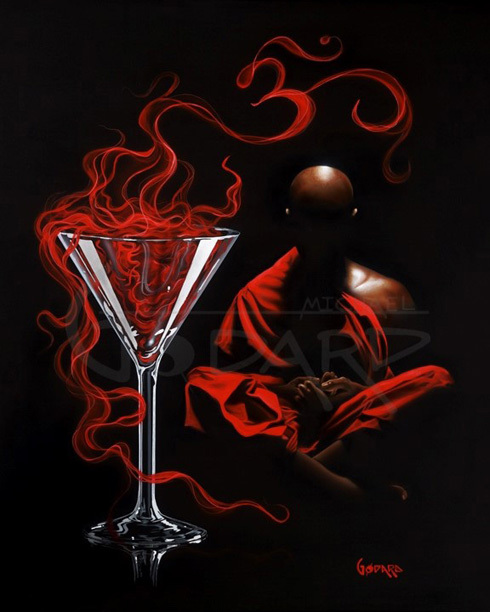 As the deep red flows from the martini glass it forms the ohm symbol. The monk also represents tranquility. Sometimes a little cocktail can calm you just enough to take the edge off. Wishing you peace and tranquility in your life.